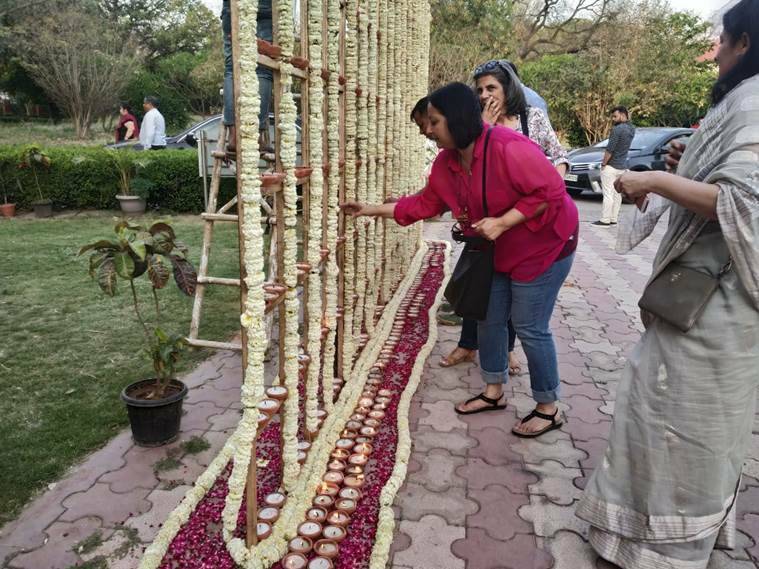 A large rectangular wooden panel strung with white flowers and rose petals stood right outside the twin art gallery in Indira Gandhi National Center for the Arts (IGNCA). Visitors were soon thronging around it to light earthen lamps in memory of those who a hundred years back had lost their lives to the indiscriminate firing by British troops at Jallianwala Bagh in Amritsar. Inside the walls of the gallery are newspaper cutouts, old photographs, legal enactments and several personal memories that serve as a reminder of what is described to be a turning point in the nationalist history of India. 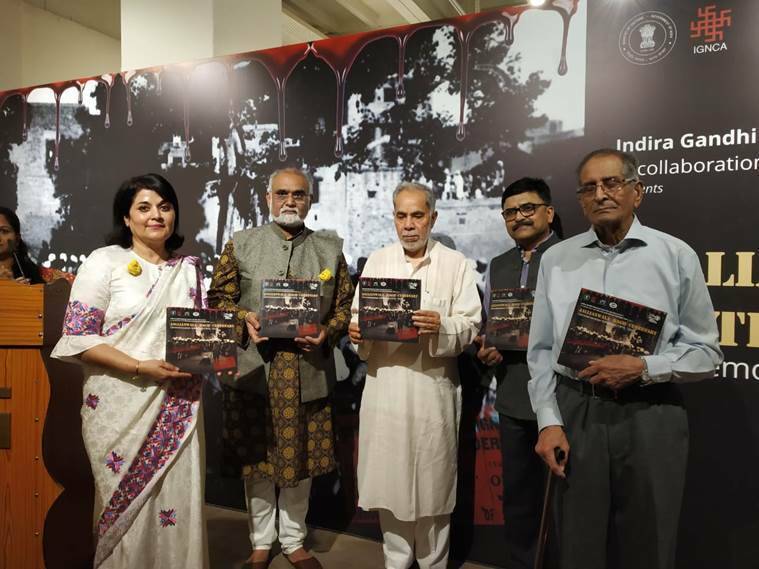 On occasion of the centenary of the Jallianwala Bagh massacre, the IGNCA in collaboration with The Art and Cultural Heritage Trust (TAACHT) has organised an exhibition that both serves as a commemoration and draws attention to the lesser known facts related to the episode. “This was a turning point in the freedom struggle. Because this was such a horrible massacre, it compelled all the people who were looking at issues of the British government to come together, no matter what their ideologies or beliefs,” says TAACHT chairperson Kishwar Desai who has also authored the book ‘Jallianwala Bagh, 1919: The real story’. The exhibition that is on display till April 28 has been curated over the last two and a half years. “It all started with one photograph that we found dated 1919 showing the Town Hall to be burned down. I knew of the Jallianwala Bagh massacre but I did not know that Town Hall had been affected by it,” says Desai who then led her team of seven to ten researchers and curators to dig out more sources on the incident from archives both in India and in the United Kingdom. The idea was to shift focus from just the main incident to the days that preceded it and its aftermath. “We were trying to piece together what exactly happened. Why is it that we know so little about the incident,” says Desai. She goes on to explain how the research for the exhibition led to the finding that there were up to 64 martial orders in Lahore in the days after the incident. “These orders were absurd. One order said that no Indian is allowed to own a bicycle. Another one said that you had to drop everything and salute every time you saw a British person walking down,” she says adding that they have curated personal accounts of those who said that they were so worried of being punished that they never sat down. 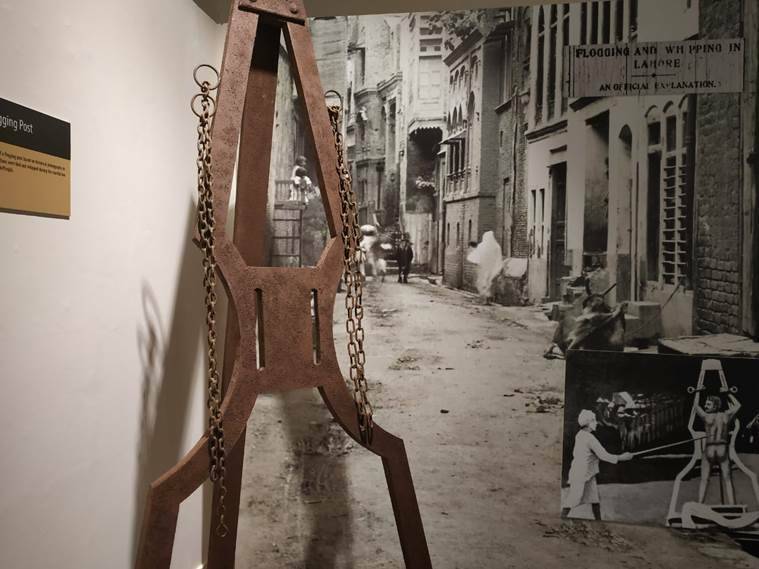 The exhibition displays reminders of the oppression being carried out in Punjab like the replica of a whipping post on which people were tried publicly, and representations of some of the martial laws that were in place then. Also on display are photographs and names of those Indians who played significant roles in the political mobilisation of the masses in Punjab during the period, but are largely forgotten in the pages of history textbooks. Mota Singh, M.Allah Din and Lala Ratan Chand among several others are commemorated through audio and visual representations. “The heroes of this exhibition are ordinary people. They are not about well-known leaders. The exhibition focuses on the people of Punjab who has no idea that the British were going to do this to them,” says Desai.